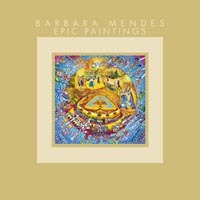 Barbara Mendes Store: "Epic Paintings"
Throughout her long career, audiences have begged Barbara Mendes for written versions of the intricate meanings and stories embedded in her complex paintings. 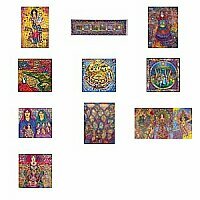 “Epic Paintings” features glowing color reproductions of TEN large image-filled paintings, along with comprehensive text explaining all of the myriad details and stories in each piece. The entry for the Beresheit mural is six pages long! 56 pages, 10 full-color reproductions, size: 8" x 8"